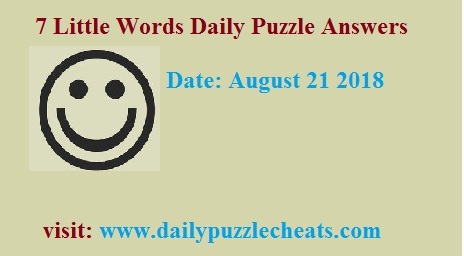 Find answers to 7 Little Words Daily puzzles solutions here. Solved solutions of 21st August are given below. For more previous cheats to 7 Little Words click here. Join us on Facebook for updates.